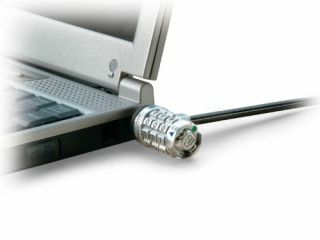 One in every five people in the UK have had their personal information stolen because of computer theft so far in 2007. That's according to a new survey from laptop security vendor Kensington . The findings are timed to coincide with InfoSecurity Europe , the cyber security event taking place until tomorrow at London's Olympia. The survey is, as you might guess, talking about recent cases of high-profile laptop thefts. But regardless, the stats are somewhat frightening. The findings estimate that nearly 11 million personal records have fallen into the wrong hands since January. "Thieves will take any opportunity to swipe a laptop," says Kensington's Rebecca Bird. "Data on these machines can be used to blackmail, damage reputations and steal contacts and competitive information. "Last year, there were several high profile thefts from the likes of HP and Ernst and Young which left company employees' payroll and other employment details vulnerable. This year, the public sector has also hit the headlines." However, the most high-profile case dates back beyond the start of 2007, even if the fine it caused was imposed this year. The Nationwide Building Society was fined £980,000 in February for theft of a single laptop that contained details on nearly 11 million customers.